OAKLAND, Calif. — (October 22, 2013) – As health care coverage is becoming a reality for millions of previously uninsured Americans through health care reform, Kaiser Permanente is enlisting two famed NBA point guards to inspire young adults to prioritize their health by leading active lifestyles and securing the coverage they need. Twenty-seven percent of the young adult population (ages 19 to 24) is uninsured, yet young Americans are least familiar with the new options in the Affordable Care Act. According to a Gallup Poll leading up to the opening of new health insurance exchanges, more than 36 percent of young adults say they are “not too” or “not at all” familiar with the new health law, compared with 28 percent of Americans ages 35 to 54, and 26 percent of those ages 55 and older. 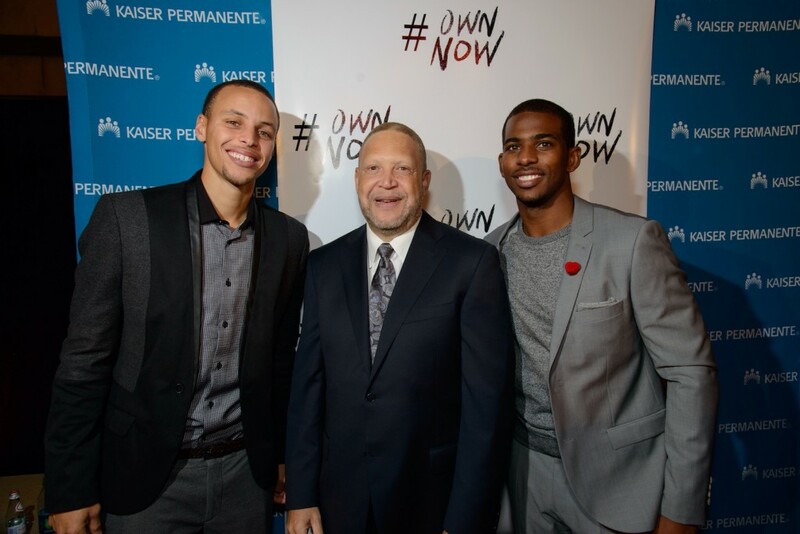 The Los Angeles Clippers’ Chris Paul and the Golden State Warriors’ Stephen Curry are partnering with Kaiser Permanente to launch the “Own Now” platform to spread the message to young adults that they need to own their health and make healthier and more informed decisions. Kaiser Permanente believes in Total Health, ensuring people can get and stay healthy in the places where they live, work, study and play. In addition, the organization provides access to great health care providers, conveniently located facilities, and easy ways for members to stay connected with their caregivers via secure email, mobile apps and telemedicine. Kaiser Permanente’s 200,000 employees and physicians are dedicated to making lives better through health promotion, wellness, disease prevention and providing excellent care to improve the health of members and the community at large. In partnership with the athletes, Kaiser Permanente will participate in the health care conversation with young consumers. The “Own Now” platform will include activities to inspire young adults to examine how they can get the most out of now (#OwnNow), live healthier lives and get covered. As Total Health Ambassadors, the athletes will engage with young adults via social media, community events and in other popular venues. Paul and Curry joined Kaiser Permanente executives, young adults and other guests at a media event at L.A. LIVE in downtown Los Angeles on Oct. 21, where the partnership was announced and #OwnNow was launched. The #OwnNow program continues what has been a busy offseason for Curry, who has — amongst other endeavors — made the switch from Nike to Under Armour, appeared in a commercial for Foot Locker with Houston Rockets guard James Harden and taking a trip to Tanzania for the Nothing But Nets campaign. The fifth-year guard from Davidson has seen his star rise since the Warriors’ impressive playoff run last season, and amongst his off-the-court tasks he’s been well chronicled on numerous national outlets. Whether his stardom (and subsequent play) rise him to an NBA All-Star this season is unknown, but we do know he has become a major force within the NBA and sporting market. Most importantly, Curry has shown consistent dedication to helping out his community beyond what is asked of him. Kaiser Permanente’s #OwnNow program is just one more example of such dedication. Will Carmelo Anthony Remain in Shadow of LeBron James? Should We Believe The Warriors Hype?